Artist. Stagehand. Project manager. Friend. Good human. Lincoln Maynard created art with recycled bits from the shop. Lincoln was one of my all-time favorite project managers and a dear friend. It was a joy to work with him, and I could talk to him for hours. We shared a love and fascination of circles in our art, as well as a general world view. He had an amazing ability to see your stage set as art —your art — and he would do whatever he could to help you make it the best it could be. He gifted me with one of his circle paintings. It makes me smile every time I see it, just like he did. Rest in peace, my friend. You are, and will forever be, missed. 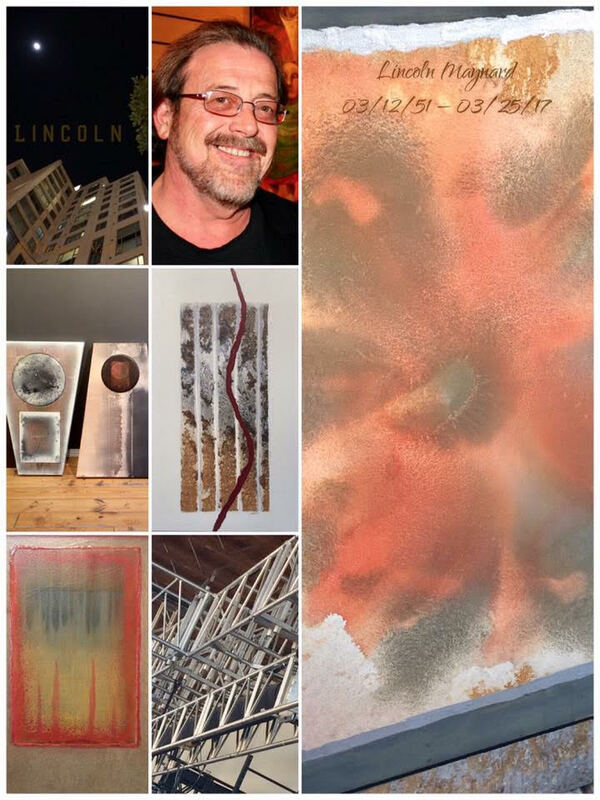 Lincoln Maynard is studio Blu design’s Artist of the Month, a monthly blog series highlighting inspirational figures of the art world. Check back soon for the latest.